I have been feeling blue these days.. And must admit that I am very happy about it. Blueberries are plenty once again and my craving for the mildly tart and tangy fruit is a bit uncontrollable. Most of the time I try to avoid making any complicated recipes in the summertime. I do not want to spend too much time in the kitchen so my go to product for a quick dessert is the Pillsbury 's refrigerated pie crust. I always keep a box or two in my refrigerator. 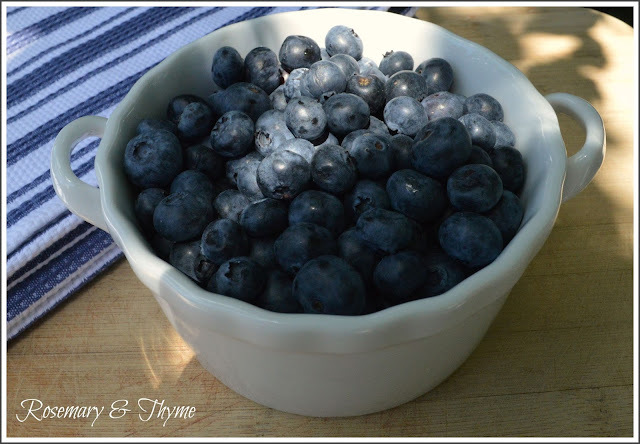 And since blueberries are plentiful right now, I wanted to share this friendly little recipe to get your weekend started on a sweet note. It's easy, no-fuss and been a regular at my home for quite some time now. As a little bonus, I also prepared individual fruit tarts with the left over filling and pie crust. 1. Heat oven to 450°F. Remove pie crusts from pouches; place flat on work surface. Dust with a little flour. Spray non-stick spray on tart pan. 2. Fit pie crust on tart pan. Pinch crust equally around side of tart pan. Prick generously with fork. 3. Bake 9 to 13 minutes or until light golden brown. Cool completely, about 30 minutes. 4. Meanwhile, in large bowl, mix cream cheese, powdered sugar and vanilla. 5. Spoon cream cheese filling into the tart shell and refrigerate until thoroughly chilled, about 30 minutes. 6. 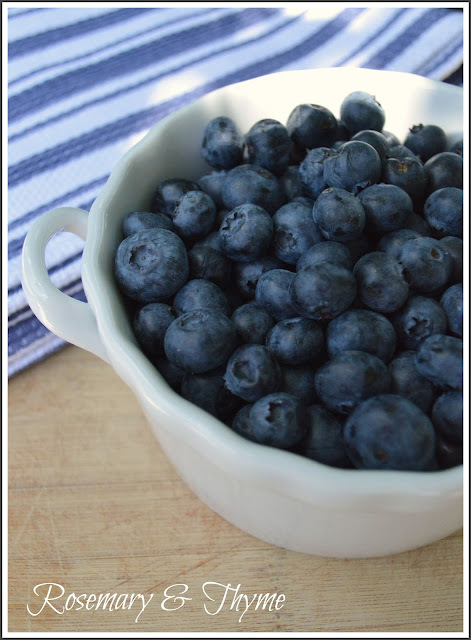 Remove from refrigerator and top with blueberries. Make apricot glaze by heating apricot jam and water together in a small saucepan. Stir well to melt. Strain liquid and discard any pulp. Place liquid back in saucepan and heat gently for 5 minutes to thicken. Allow to cool slightly and spread over fruit. Have fun with the design and enjoy. Trust me, your friends and family will love it. Oh, what a pretty post to read whilst sipping my coffee this lovely winter's morning... Dearest Janet! 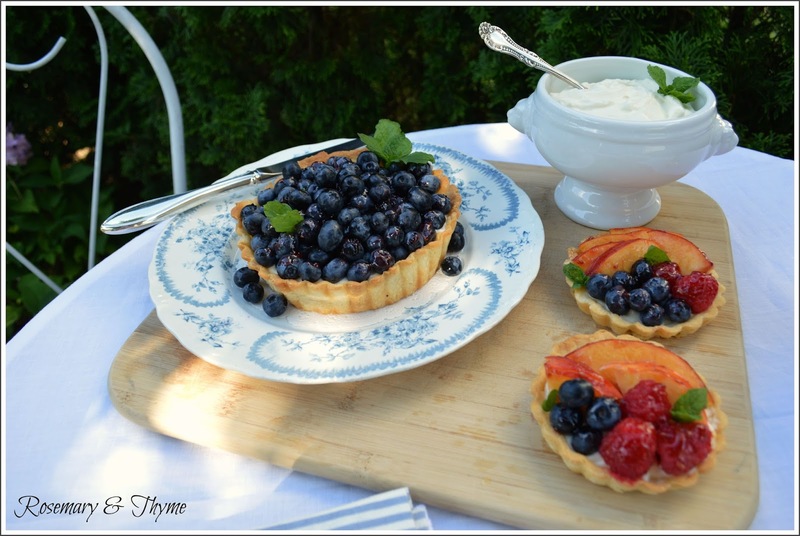 Your presentation is just divine, and these blueberry tartlets look scrumptious and quite summery! 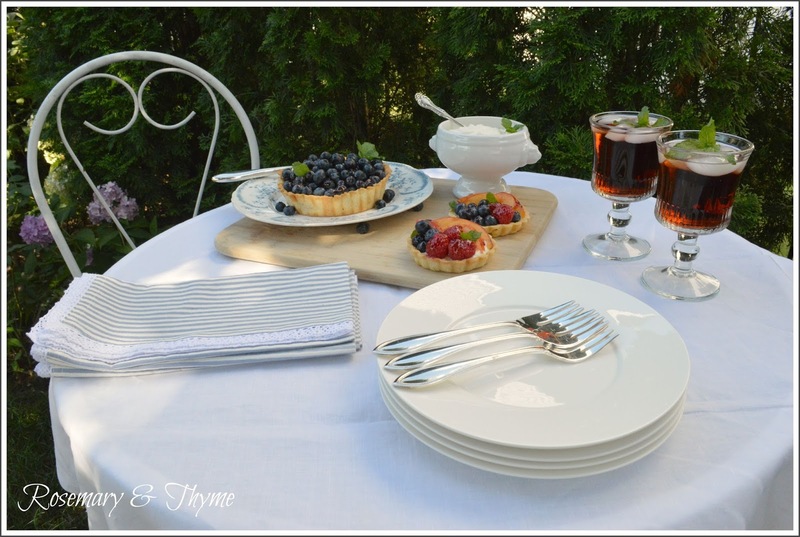 How I long for warm summer days...I will have to make these lovelies sometime when blueberries are once again in season! Blessings to you and have beautiful weekend ahead! Thanks for sharing! Love to you! 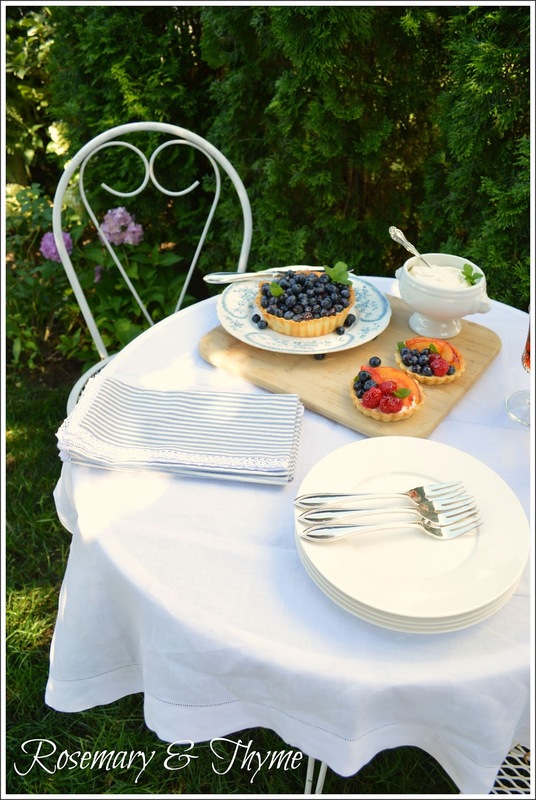 I think this wonderful and delicious tart is perfect for a Summer dinner in the garden with friends ... next week we're going to have guests so I'm going to make it, thank you my darling Janet for your marvellous idea ! 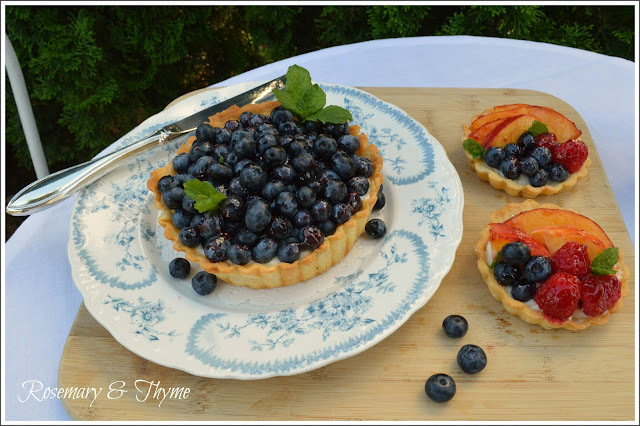 Blueberries are one of our favorite fruits, your tarts look delicious. Thanks for the recipe, I have to try this. You've got all my favorite fruits on display. 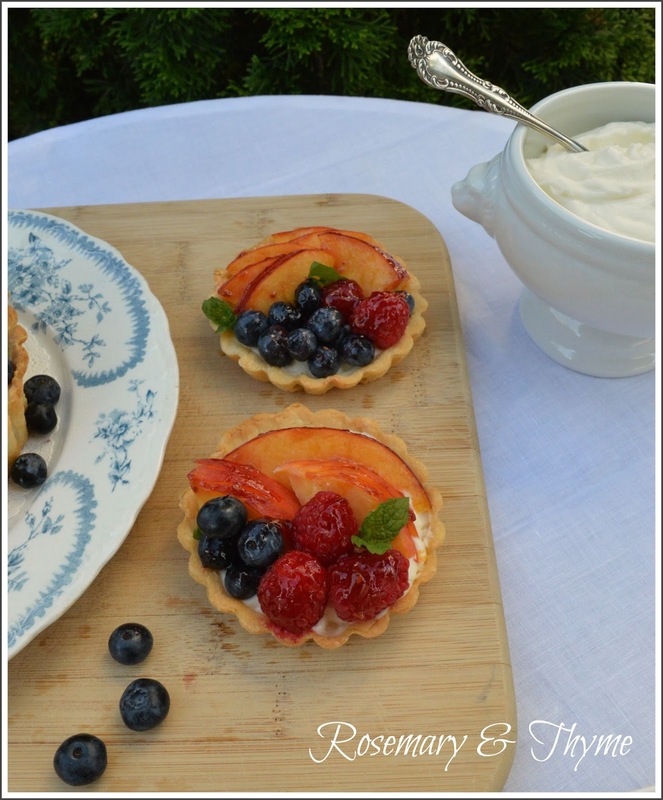 These tarts look yummy - Thanks for sharing your recipe. My mouth is watering, your fruit tarts not only look amazing but I bet are delicious. Thank you for sharing with the Clever Chicks Blog Hop! I hope you’ll join us again next week! These are almost too pretty to eat but they would be a perfect summer dessert. p.s. I wish you could come to the tea party as well! Que rico.... y tan bien presentado! 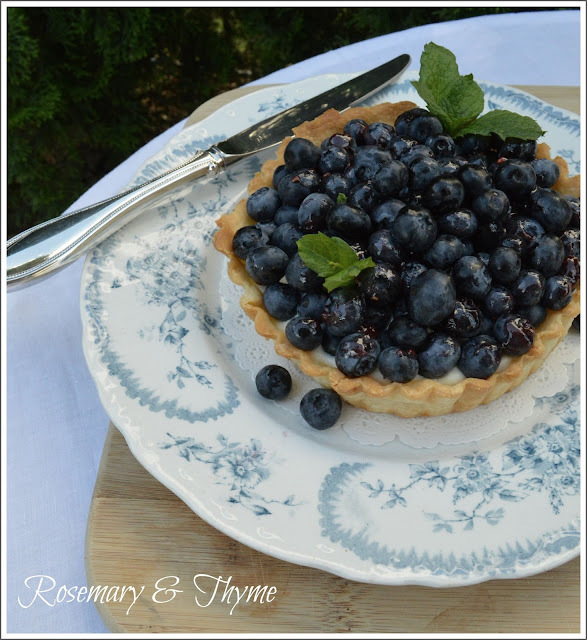 Hi Janet, wow your blueberry tart looks amazing and perfect for a summer dessert. Thanks so much for your visit to my blog yesterday. It was an amazing experience for me to meet two bloggers in person and loved it and had fun. I co-host a blog party on Monday's called Cooking and Crafting with J & J and I would love for you to join and share this recipe. Thanks for the visit yesterday. Have a wonderful day and weekend. You had me at blueberries and cream cheese. Yum! I love fruit tarts, and these look insanely delicious. Thank you for sharing at Inspire Me Wednesday. Featuring you in this week's issue. Thank you Jessica. 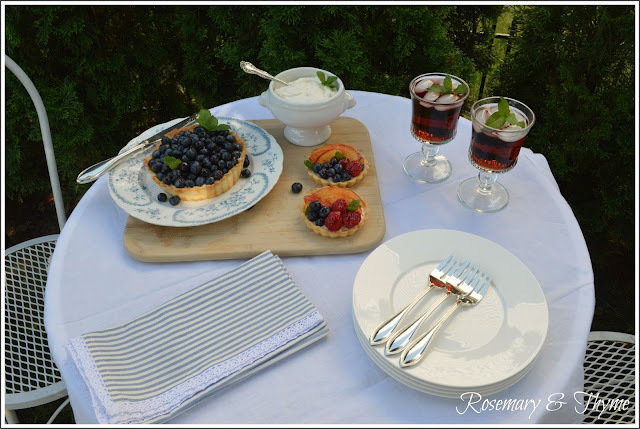 So glad you enjoyed my blueberry tart reciCome back to visit soon. I saw this pic on your sidebar and OF COURSE I just had to see the easy part of your tart! Ah-ha! Refrigerated pie crust! Didn't think to use that as a tart dough, guess it's pretty much the same thing! Your tart looks so yummy, I could go for a piece of that now!